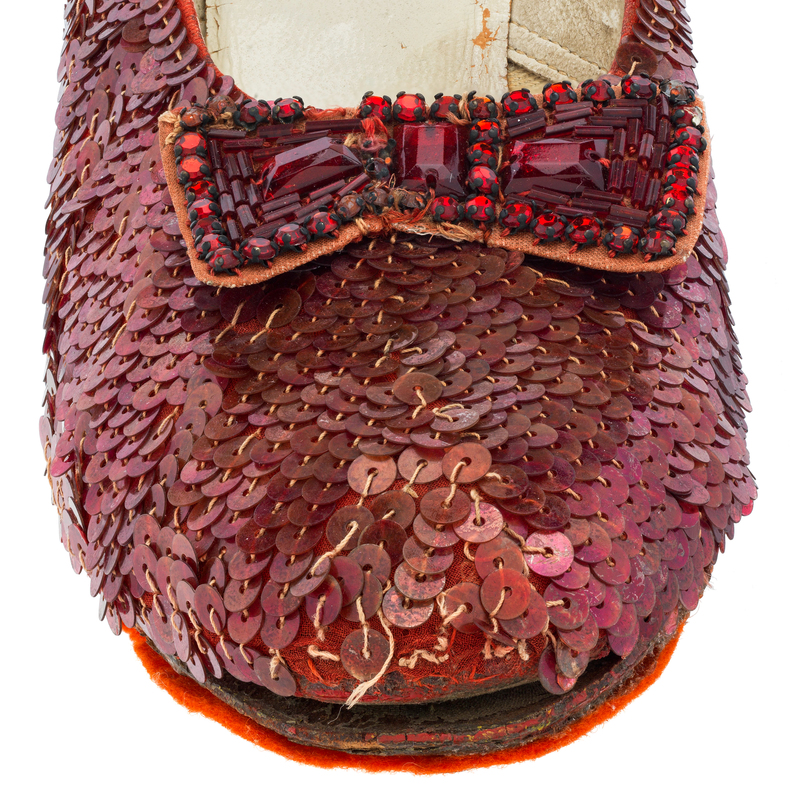 The Ruby Slippers from The Wizard of Oz return to view Oct. 19 at the Smithsonian’s National Museum of American History after a year of research and conservation treatment following the museum’s successful Kickstarter campaign to #KeepThemRuby. The Ruby Slippers display is one of eight installations showcasing American history through culture, entertainment and the arts. The Ray Dolby Gateway to Culture focuses on Americans’ experience with recorded sound and five of the innovations that kept them listening: Thomas Edison’s phonograph, Alexander Graham Bell’s graphophone, Emile Berliner’s gramophone, Ray Dolby’s noise-reduction system and Apple’s iPod. The landmark object is a stained-glass window from a tower at the Victor Company’s headquarters in Camden, New Jersey, 1915, featuring the iconic image of a dog “Nipper” listening to his master’s recorded voice. These are both permanent displays. The new Hall of Music, overlooking the Washington Monument, emphasizes how central live performances are to the cultural experience. This dedicated venue provides a home for the museum’s celebrated Smithsonian Chamber Music Society and the noted Smithsonian Jazz Masterworks Orchestra can present concerts with its various small ensembles. Displays in the glass-enclosed side galleries will feature a selection from the museum’s jazz and classical music treasures, including priceless instruments by Antonio Stradivari and Nicoló Amati. From 2018 to 2020, a selection of the museum’s national treasures and recent acquisitions related to culture, entertainment and sports will be on view. 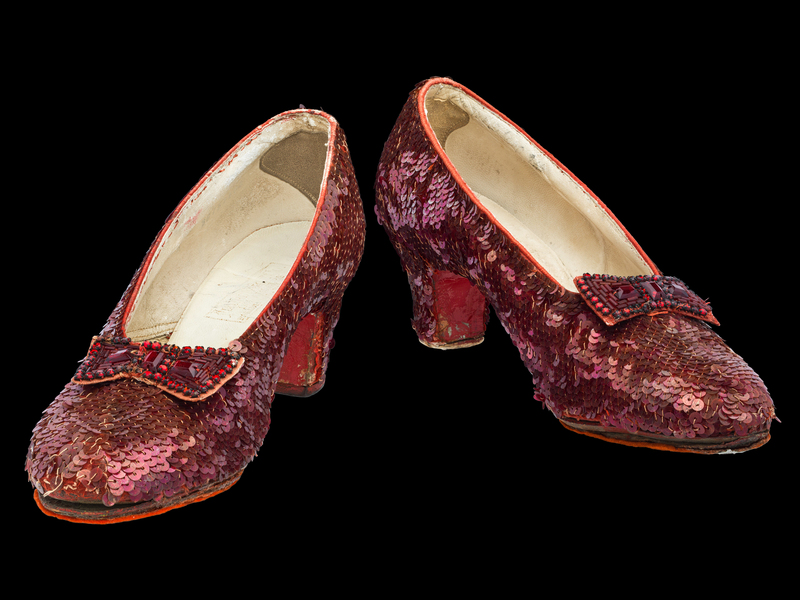 The Ruby Slippers, one of the most iconic artifacts in film history and one of the most asked-about objects at the Smithsonian, are returning to view in an intimate gallery. A Yankee Stadium ticket booth from 1923 will highlight baseball as one of America’s favorite pastimes. Two new acquisition cases will feature recent additions to the museum’s arts and culture collections. These built-in cases will highlight an individual object and artifacts will rotate on a regular basis to display new additions or to mark an anniversary or other celebration. Game designers and developers take inspiration from American cities and landscapes, real and imagined, utopian and dystopian. Displays of a selection of these games will be on two large screens to show not only how America inspires game design as well as how playing video games shape our perceptions of American places. A vivid mural commissioned by the museum from the Washington, D.C., studio of No Kings Collective will bring creativity, color and patterns to illustrate the concept of American culture. Through incomparable collections, rigorous research and dynamic public outreach, the National Museum of American History explores the infinite richness and complexity of American history. It helps people understand the past in order to make sense of the present and shape a more humane future. It is located on Constitution Avenue N.W., between 12th and 14th streets, and is open daily from 10 a.m. to 5:30 p.m. (closed Dec. 25). Admission is free. For more information, visit https://americanhistory.si.edu. For Smithsonian information, the public may call (202) 633-1000.